During Bethesda's E3 show earlier tonight, there was a cute video starring Keegan-Michael Key about Skyrim coming to Amazon's Alexa voice assistant. We all chuckled and got on with our lives, because Key is a comedian and that would be a stupid game. 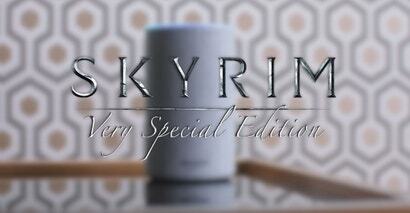 And yet here we are, a few hours later, and you can actually play Skyrim: Very Special Edition.